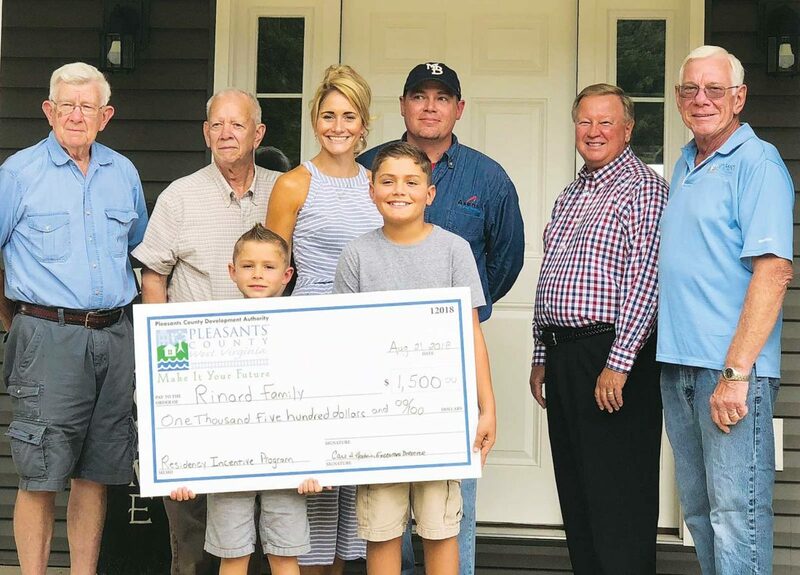 Photo Provided The Rinard family has received the first financial incentive from the New Residency Incentive Program created in June by the Pleasants County Development Authority. The family received $1,500. From left, Belmont Mayor John Fitzpatrick, Pleasants County Commissioner Jim Cottrill, Loura Rinard, Jeremy Rinard, their children Tyler and Brady, Mike Nelson, Pleasants County Bank and development authority President Mike Nelson and development authority Director Carl Guthrie. 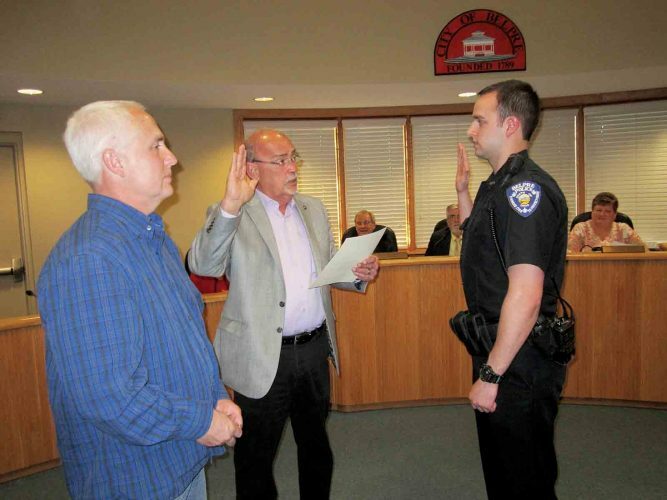 ST. MARYS — A program offering a financial incentive to be a resident of Pleasants County has scored its first recipient. The Rinard Family received $1,500 through the Pleasants County Development Authority’s New Residency Incentive Program created in June. The Rinards relocated to Pleasants County from Newport. Jeremy Rinard works at Axens North America. His wife, Loura Rinard, is the guidance counselor at St. Marys High School. Their two sons, Brady and Tyler, are students at Belmont Elementary School and Pleasants County Middle School. Loura is active with numerous high school organizations, the St. Marys High School Alumni Association and the St. Marys Fitness Center. The incentive program offers up to $1,500 for individuals and families who buy or build a home in Pleasants County. Residential homes in Pleasants County generate about $3,000 a year in property taxes. Children in the Pleasants County School system provide the Pleasants County Board of Education with about $5,000 per student from the state aid formula. Other impacts are generated by residents who shop, eat and play in Pleasants County and volunteer in their communities and churches. The goal of the program is to encourage employment and retention of Pleasants County residents and encourage families who are employed by companies located in Pleasants County, but are living elsewhere, to purchase or build a primary residence in Pleasants County. Eligible residents and employees can apply for the program through the development authority. Applications are available from several of the plants’ human resource departments or at the Pleasants County Development Authority office in St. Marys.